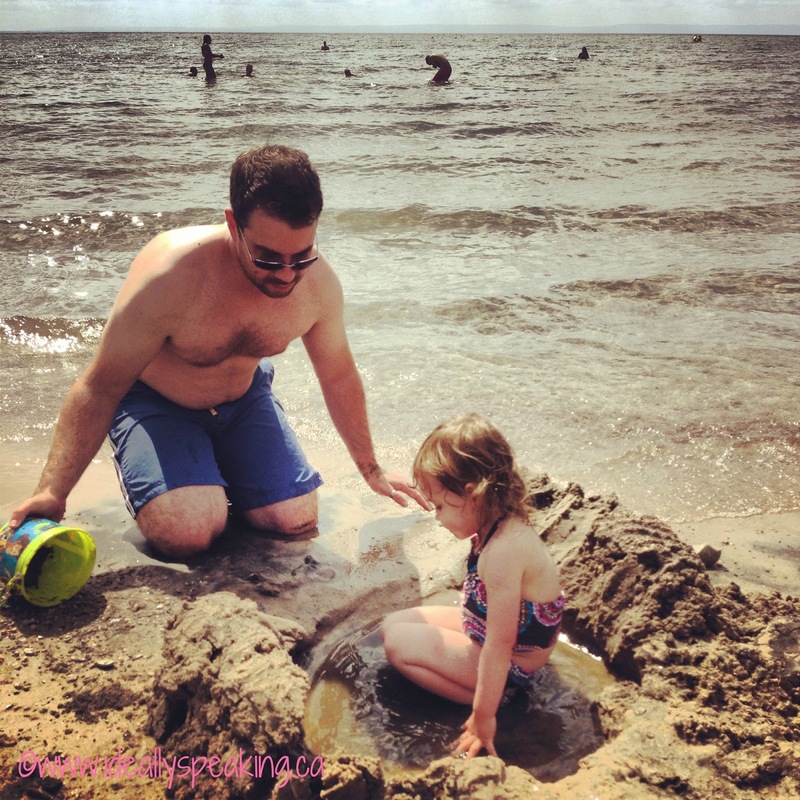 #Wordless Wednesday with linky: Family Beach Day! With the amount of rain we had this past long weekend, we nearly skipped out on our plans to hit the beach. However, we decided to brave the chance of rain on Sunday and were rewarded with some glorious sunny breaks throughout the three hours we were there. This is the beauty of living on beautiful Georgian Bay. Lilly loved the water! This kid could live on the beach. Daddy taught her how to make a sand pool. Wordless Wednesday with linky: One busy family weekend. #WordlessWednesday with Linky: Vacation & An Island Wedding. Wordless Wednesday with linky: Perfect evening for a walk. Wordless Wednesday with linky: Attending Mass. How perfect, I love beach days!! Great pictures. I wish we lived close to a beach! Lucky! Wow beach days look so fun, wish I could wiggle my toes in the sand. Aww! cute fun photos..oh! and nice feet LOL. Wonderful beach day and adorable togs on your little one. Coming from a landlocked state (Kansas) I’m always so jealous of these beach photos. Ah… water…. What a fun post, thanks for sharing and happy WW! Most of my portraits look like that too! Beautiful little sun goddess. I wish we lived near a beach. thank you for hosting! I love the beach, we didn’t make it this summer but definitely will next year! Aaaww! What adorable pics you have there. I’m not sure if I love the beach. I find it fascinating but the sticky sand bugs. hahahaha. You looked like you were enjoying it. Great WW to you. Oh and …btw, I am following you now on IG, Pin and BL. Thanks for hosting a great party. Love the blog, keep up the great work. Please stop by our Brag About It Tuesday Party. Have a great day! Nothing, nothing, nothing is better than the beach with kids! I loved seeing your pics, but it makes me sad that summer is going away. Thanks for hosting this linky!